I'm looking for something in the region of £200-£300, something which will translate well on other systems and are generally the mutt's nuts in that price range. Any first hand accounts or advice would be much appreciated! I can't praise these enough for what you pay for them. The ultra low end is quite understated but the upper mids to highs are really responsive and that's the difficult bit to get right. If you need more clarity below 60-80Hz, the switchable active sub is pretty damn good too. What size do you have? I don't really want anything as big as 8", far too hefty and space consuming. 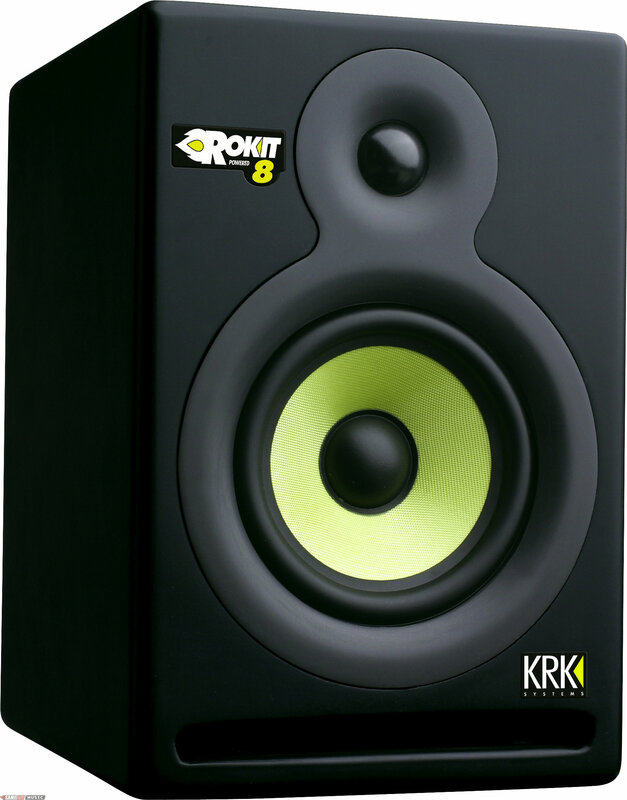 They sound good though, I think KRK have new G2 series out of the Rokits. I came into this thread to say that too. Recently got some Rokit 6s and they're wonderful for the price. I've got a pair of RK8's..
Had them a few years now and can't praise them enough! I've not really had a proper listen to the new revision of them (with all the curves and stuff).. but I'm in love with mine. a bit big for my liking, but do you have to run them thru a mixer? im sure u could get them 2nd hand for that now. They are really great nearfields. The small genelecs are also good. I have no idea how much yamaha NS-10's are on the black market but they rock too. they've got a newer model out based on the NS-10's but I'll have to buy new as I don;t trust secondhand stuff from the net for obvious reasons. I'll see if I can find any 624's, people seem to recommend them a fair bit. cheers! on the phone and ask them for the best they can do whatever you want for. Speak to nick, he always cuts me some cash off and is a cool guy.